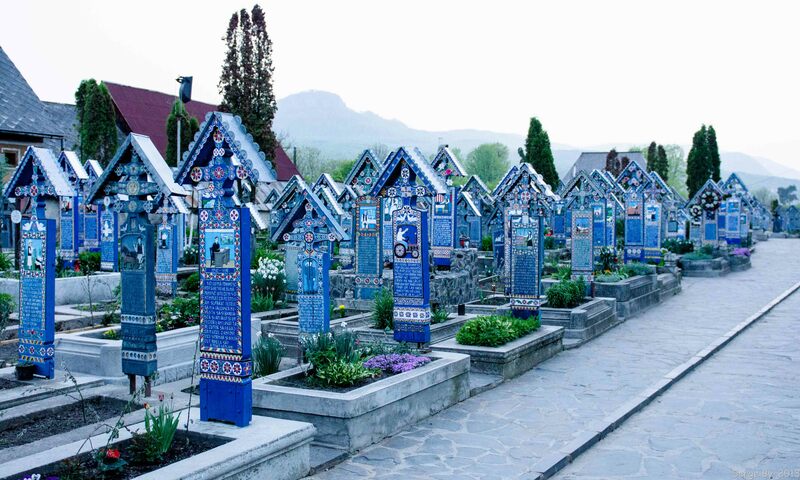 Romania is a country you need to put on your bucketlist; if you're backpacking Europe or volunteering in Eastern Europe be sure to add this Merry Cemetery to your list. If you haven't heard, ILP has a wonderful orphanage program in Romania. That means you can spend time volunteering with some really special kids, and take weekends and vacation days to really explore what Romania has to offer — one of those places is the Merry Cemetery! Pst: not an ILP volunteer yet? Come talk with someone who can help get your questions answered, right here. Despite the somewhat odd name for a final resting place of many people's family members, the Merry Cemetery is actually such a cool place! The reason it is called the Merry Cemetery is because all the wooden crosses marking the graves are covered in the deceased's life stories (and sometimes secrets). 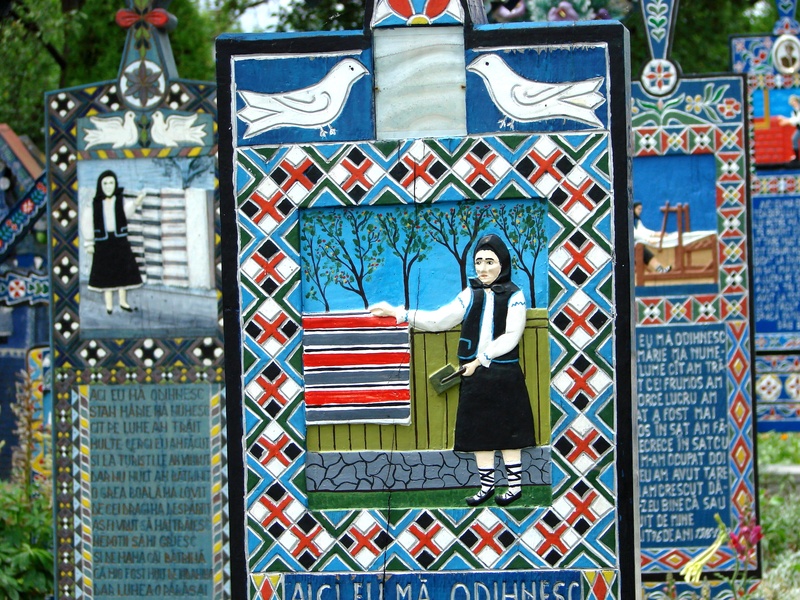 These stories and secrets are painted by hand to create a gorgeous memorial — and one of the most unique travel destinations in the world. Instead of mourning the deceased they are celebrating their lives! How awesome is that!? The Merry Cemetery (or Cimitirul Vesel) is located behind the Church of the Assumption in a small town called Sapanta in Northern Romania — it's also right next door to this place where you can find some truly magical churches. The crosses began to be personalized in 1935 and a few decades later, there are over 1,000 of the personalized wooden crosses in the Merry Cemetery. Dumitru Pop, the man who has been carving and personalizing the crosses for the last 30 years took over from the original carver and decorator, Stan Ion Patras. It's a beautiful tradition that we hope continues for years and years. Don't overlook Eastern Europe — it really is an area of this world where there are some sites you can't see anywhere else ... which makes it the perfect place to spend a semester abroad.